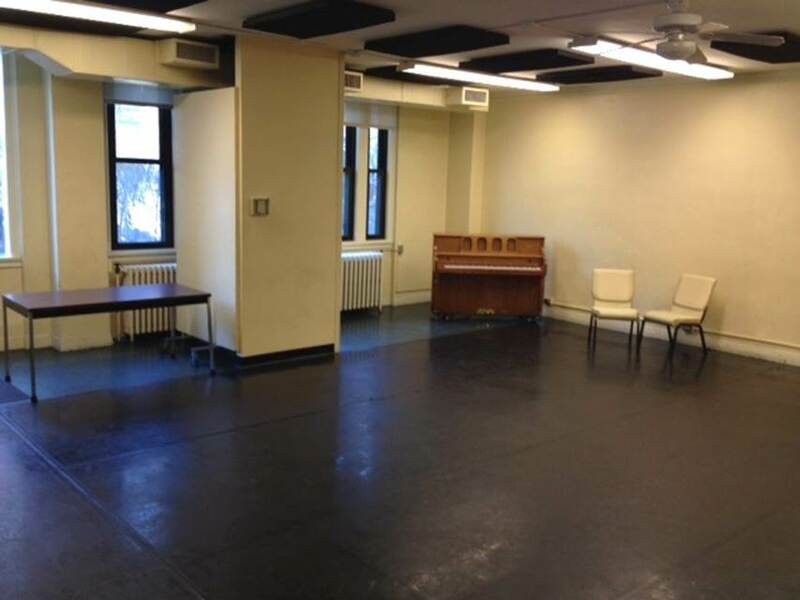 A.R.T./New York has a total of eight studio and meeting spaces available to rent by the hour for rehearsals, meetings, auditions, workshops, and small scale performances. 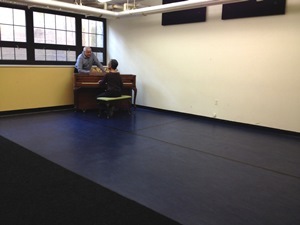 Chairs, tables, rehearsal cubes, and wireless internet are available in each studio. 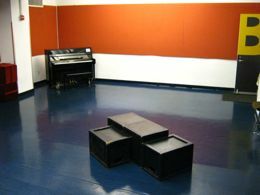 Many studios have a piano (inquire when booking). Rental hours are between 9am and 10pm, seven days a week. The LuEsther T. Mertz South Oxford Space is fully air-conditioned, wheelchair accessible, and convenient to all trains: B, C, D, G, N, R, Q, 2, 3, 4, 5, and the LIRR. Please note that we do not rent for private functions such as birthday parties, weddings, or baby showers. The LuEsther T. Mertz South Oxford Space is an ADA-compliant accessible facility. The calendar below shows current availability over the next 3 months, booked times are indicated in blue. Please contact facilities staffing to make your booking. This stunning, wood-paneled room has 14' ceilings, a small raised stage, and hardwood floors. The room measures 35' x 27', and the stage is 15' x 10'. There are three tall windows with drapes that have blackout capabilities. Capacity is 74 persons. 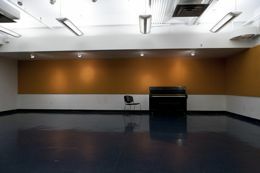 Located on the first floor, the Studio G rehearsal space measures 28' x 26' with 10' ceilings. This bright, airy studio with windows and a Marley dance floor opens out to a backyard garden. Capacity is 30 persons. 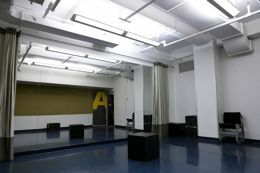 This clean, well-lit rehearsal space located in the basement has Marley flooring, measures 21' x 16' and has 9' ceilings. Rental hours are between 9am and 10pm, seven days a week. [email protected] is fully air-conditioned and is wheelchair accessible. The Spaces are located in Manhattan’s Garment District, conveniently close to Penn Station and the Port Authority, as well as all Times Square and 34th Street Subway lines. Spaces @ 520 is an ADA-compliant accessible facility. The calendar below shows current availability, booked times are indicated in blue. Please contact facilities staffing to make your booking. 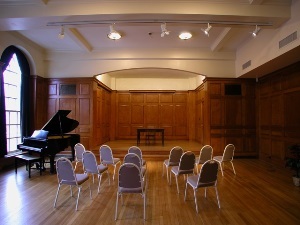 This lovely, colorful room measures 30' x 25' and may be used for rehearsals and small events. It has adjustable track lighting, convenient counter space, and rubberized “Mondo” flooring. Capacity is 40 persons. This rehearsal room measures 22' x 18'. It has sprung floors with rubberized “Mondo” flooring. There is a wall of mirrors that may be covered with drapes provided. 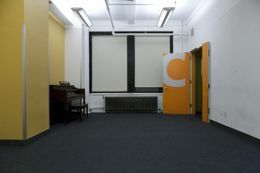 Studio B measures 28' x 22'. It has sprung floors with rubberized “Mondo” flooring. This studio measures 22' x 14'. It has wall-to-wall carpet. 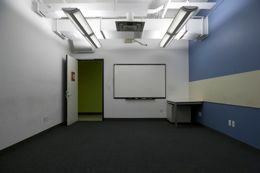 Especially suited for meetings, classes, and table readings, Studio D measures 25' x 14' and has wall-to-wall carpet.